Spring Break is upon us. While college students usually make the news for bad behavior, elementary and high school students also get a break and the whole family goes together. 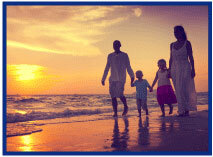 Travel Insured International (TII) knows that and has Travel Tips for family vacations. If you don't want to be outnumbered by spring breakers it's a good idea to see which hotels cater to the young partiers and book somewhere else. Student City is a good place to look for such hotels. 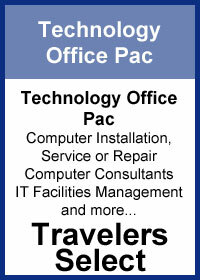 The TII Travel Blog is a great place for travel tips and information. For instance a recent article discussed How to Pick the Right Hotel no matter where you are traveling. 2016 Travel Trends say Cuba is on the rise and the sharing economy1 is booming. How about a cruise? They have tips for cruises too. Review the product guide and comparison chart with your client. 2 . This TFT article from our Non-standard HO underwriter can explain in more detail. Your Big "I" Professional Liability risk management team has created a resource for Big "I" members that you and every member of your staff should have on hand at all times. 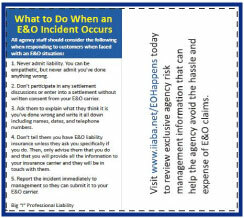 It's a printable wallet card entitled "What to do when an E&O incident occurs." Print them on card stock and distribute to your staff to ensure that when a situation arises you and your staff will have the proper steps at your fingertips. Download the printable wallet card. 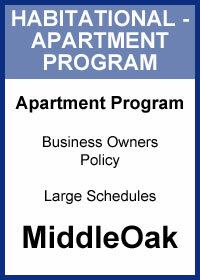 Learn more about Big "I" risk management resources at www.iiaba.net/EOHappens. Tired of Bond Applications Being Denied? Are your clients not able to qualify for the bond they need due to lower credit scores? Goldleaf Surety Services can help! Many applicants are not able to qualify for license and permit bonds based on their credit scores alone. For these applicants, Goldleaf Surety Services has access to several specialty markets who are willing to entertain these risks. We have specialty markets for applicants who have been declined due to credit for many bonds, including various contractor license bonds and permit bonds, Motor Vehicle Dealer bonds, Personal Care Assistant bonds, Wages & Welfare bonds, Utility bonds, and many more. In addition to these specialty markets, Goldleaf Surety has the ability to assist all of your clients as well with access to many standard markets through our Quick Access License & Permit Bond Program. Don't' assume you can't get a bond! 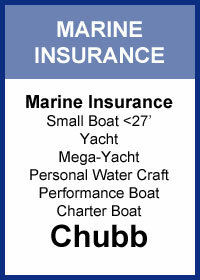 For more information on how Goldleaf Surety Services can assist you with all of your bond needs - log in to www.bigimarkets.com or email us at bigimarkets@iiaba.net and an underwriter will contact you. April 4. "First Monday LIVE!" a free monthly webcast hosted by the VU's own Bill Wilson and guests on the first Monday of the month, to discuss the wide world of insurance. Each 30-minute webisode will cover "what's going on" (drones, car sharing, concealed weapon laws, legalized marijuana, legislative issues) and the implications along with hot topics, your feedback and more. 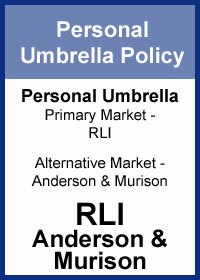 The March session covers "The Worst Insurance Policy in the History of Insurance.". Click here to learn more and register. After last week's Student of the Industry on the apparent trend in the P&C industry of greater utilization of reinsurance by P&C insurers, a member agent from Alabama put forth her theory. That was that after Hurricane Katrina and other catastrophic events, insurers found that a lack of reinsurance coverage cost them dearly. 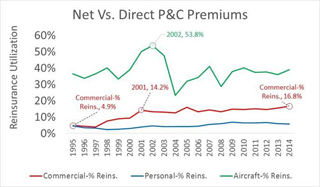 Her theory was that insurers have since reacted by steadily increasing their reinsurance coverage. I'll let you decide. 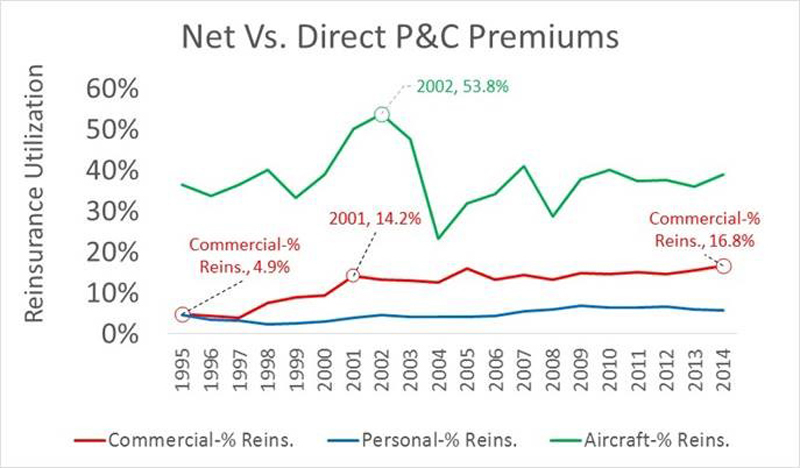 Below is some more granular data to ponder where Lines of business, commercial P&C, personal lines P&C and aircraft are shown with their percentage use of reinsurance. Have a theory? Email me at paul.buse@iiaba.net. Congratulations to our agent in Nevada on a casual dining pac sale of $6,586 in premium!